Throughout the years people have been receiving and sending Valentine’s day cards, quite. In the olden days the card was hand crafted. From then to now the cards are now mass produced and printed with the focus of valentine shifting from personal to commercialization of the product. In the past valentines day was a day where you could tell someone you were attracted toward them and desired to be with them. Today, it has been changed to be a day for couples to reaffirm their love for each other, and more or less take a day to reignite the flame. Why valentine gifts cost a lot I don’t know, but the fact is they don’t have to cost a great deal of money just to send a love message . Moreover people affirm their love on a daily basis and the small gestures are the once that truly touch the heart, a well chosen greeting card supplements this feeling especially when given by a loved one. 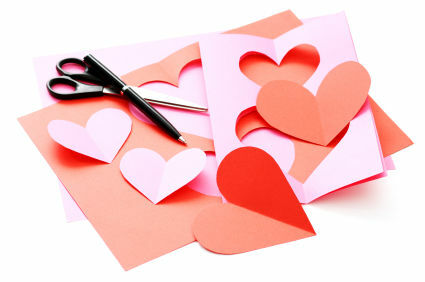 Taking your attention to the Valentine’s Day card ideas which are sold in most shops, you will notice they are rather conveyed in a simple way in which will be forgotten in a few hours, since they are all structured the same and have not unique features. Because this is your special day, special consideration should be taken when conveying the message to your soul mate which should be unique to both of you, by creating personalized valentine cards. But how can I make such a card without high tech digital machines ? With the advancement of technology using your own personal image you can create a card. Sounds simple doesn’t it? Put simply, you can turn any of your digital images into a bespoke card, and can therefore exactly suit it to the recipient’s personality. Just think how romantic it will be, for example, to open a card featuring an image of the two of you out walking hand in hand, or gazing into each others eyes across a restaurant table. Once you have selected the photo you want you now upload it to any internet site that can turn it into a nice produced card. This has been made very easy by being transformed into a sequence of simple choices, which allow you to select the format and size of your card, and then add more features like frames, a background and writing, when you’re sure that the wording and photo are correct and you have exhausted all design angles and the works of art or one unique then you can print. It’s as simple as that, and the quality will be equally good. So now, because you know how to create a valentine card rather cheap with outstanding results. You should start customizing all your cards since they portray a special meaning which only you know since you know your own heart. It will cost you less and bring a better result always for you. Fenix Raw is an IT professional from Test4prep.Are you really Looking for this 1Z0-053 Exam Question assistance? Move ahead to take the benefit of 1Z0-870 Exam Question and pass your exam easily.